The Easter Seals Wisconsin Golf Outing for Kids annual charity golf event returns on Wednesday, June 28. This event continues to grow and has raised over two million dollars to date. The Golf Outing for Kids, presented by the Bank of Wisconsin Dells, will be played on two world-class golf courses in Wisconsin Dells, Wild Rock Golf Club at the Wilderness and Trappers Turn Golf Club. Hosted by Pat and Barry Richter and joined by many celebrity athletes, the day on the course provides an opportunity to hear terrific stories, get autographs and photos, and to meet great people. Following the golf event, players will have the opportunity to go to Camp Wawbeek and meet the children with disabilities who will benefit from the funds raised, learning firsthand what makes Easter Seals Camp Wawbeek so special. Registration is currently taking place for teams and corporate sponsors who are interested in participating in the event. 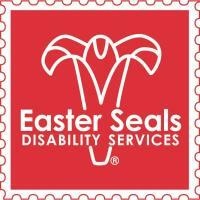 All proceeds raised from sponsorships support Easter Seals Wisconsin Camps for children and adults with disabilities. There are many different levels of teams and sponsorships from which to choose. To register, contact Kris Ackley at 608.237.1370, email kackley@eastersealswisconsin.com or visit www.EasterSealsWisconsin.com.